Looking for rare and unique gifts for cigar lover's? Or perhaps you are in the market yourself for a cigar pen. Either way our handcrafted cigar pens are sure to delight. These handcrafted wooden cigar pens are produced in San Antonio, TX . Each unique cigar pen is uniquely crafted with hand harvested wood and the cigar label of your choice. 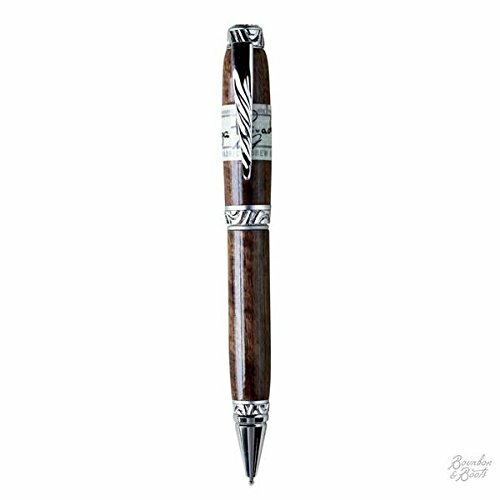 The cigar pen is available in either Texas Mesquite or Walnut Burl wood, these pens look stunning and write beautifully. If you have any questions about this product by Bourbon and Boots, contact us by completing and submitting the form below. If you are looking for a specif part number, please include it with your message.